With over 20 years expertise in integrative and holistic medicine Dr. Shemesh guides patients through the myriad of holistic alternatives on their way to individualized self healing. Dr. Shemesh has board certification by the American Board of Holistic Medicine, certification by the American Academy of Anti-Aging and Regenerative Medicine, the American College of Obstetrics and Gynecology, The American Academy of Ozone Therapy, The International Lyme and Associated Diseases Society. 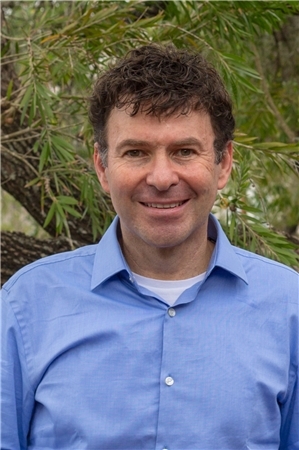 In addition to western medicine, Dr Shemesh has training in Medical Acupuncture at Harvard medical school and is a member of the American Academy of Medical Acupuncture. Dr. Shemesh pursued a traditional medical residency program in Obstetrics and Gynecology at New York University Medical Center, where he remained to complete a subspecialty training in pelvic surgery. He then served as a clinical instructor teaching residents the traditional surgical and medical approaches to disease management. After having surgery for malignant melanoma in 1993, Dr. Shemesh was challenged with finding a satisfactory support to understanding the cause or the way to prevent the recurrence of his disease in the conventional medicine model that he was part of. The alternative of waiting for a potential recurrence of the cancer was not an option. Dr. Shemesh turned to study the scientific basis for a variety of complementary healing modalities that can care for and prevent the recurrence of illness. Dr. Shemesh traveled extensively around the world studying and incorporating a variety of healing modalities. While practicing medicine Dr. Shemesh soon discovered that when he took time to really get to know his patients and expressed an interest in their lives, they were happier and healed faster. Spending more time than is typically expected by a doctor yielded amazing results. As a former cancer patient, Dr. shemesh became disenchanted and frustrated by the long waits to see doctors. They offered him very little satisfaction during brief and hurried exams. He knew the answer could be found in spending time to understand the cause of the illness and create a support team to help in accelerating the natural healing process. In his practice, Dr. Shemesh incorporates diet, nutritional supplements (including herbs, homeopathy, and intravenous nutritional therapy when indicated, bio-identical hormones balancing, meditation and stress management, energy medicine, and mind-body-spirit connectivity to assist healing. Dr. Shemesh continually pursues growth and education of self and others by regularly attending seminars by many organizations including the American College of Advancement in Medicine (ACAM), the Institute for Functional medicine, the American Academy of Anti Aging and Regenerative Medicine, The American Board of Holistic Medicine, Professional Compounding Centers of America (PCCA), and other organizations that promote education for self growth and social healing. Dr. Shemesh continually works toward the personal incorporation of the principles of holistic health, which can profoundly aid in the quality of the healing relationship. His experience of delivering more than 10,000 babies and caring for more than 20,000 patients during his career, enabled him to follow his patients and families through all of life’s experiences. He has learned to view all life experiences including birth, joy, suffering, and the dying process as profound learning opportunities for patients, families, and their health care providers. Since the holistic approaches to healing are universal, Dr. Shemesh has been helping women, men, and children in their pursuit of optimal health.